The north-east of Iceland truly is a land of contrasts, with rich wildlife, beautiful fjords, moon-like geothermal areas and Europe’s most powerful waterfall. Apart from the natural wonders, this part of Iceland boasts many historical sites from the Sagas and is the place to discover the mystical parts of Iceland. Begin your day early by making your way along Highway 1 towards North of the country. As your first stop, consider visiting Hvammstangi the seal centre before exploring the Vatsnes Peninsula with its rich history and mysticism. The regions of Vatnsdalur valley are the settings of the Saga of the Vatnsdalur People and here you can visit the stone church of Þingeyri, built in 1877, a historic home of chieftains and the elite.In this area you can also see Borgarvirki, the historic fortress and spot the unique dragon-like cliffs called Hvítserkur. 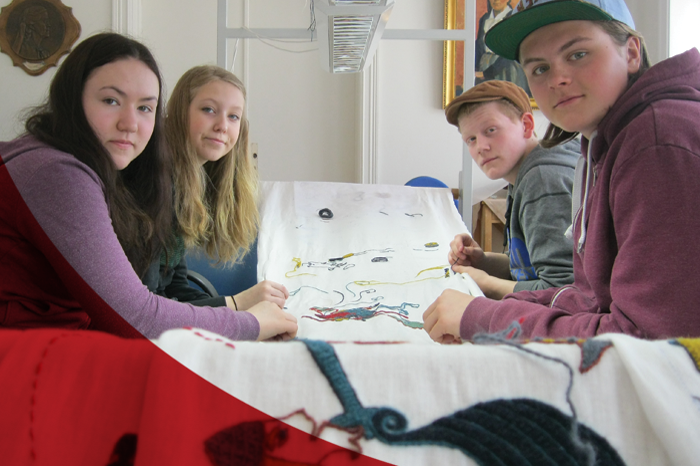 Driving further along the coast visit the Vatnsdæla Tapestry where you will get a chance to participate in sewing the Vatnsdæla Saga onto a 46 meters long tapestry. 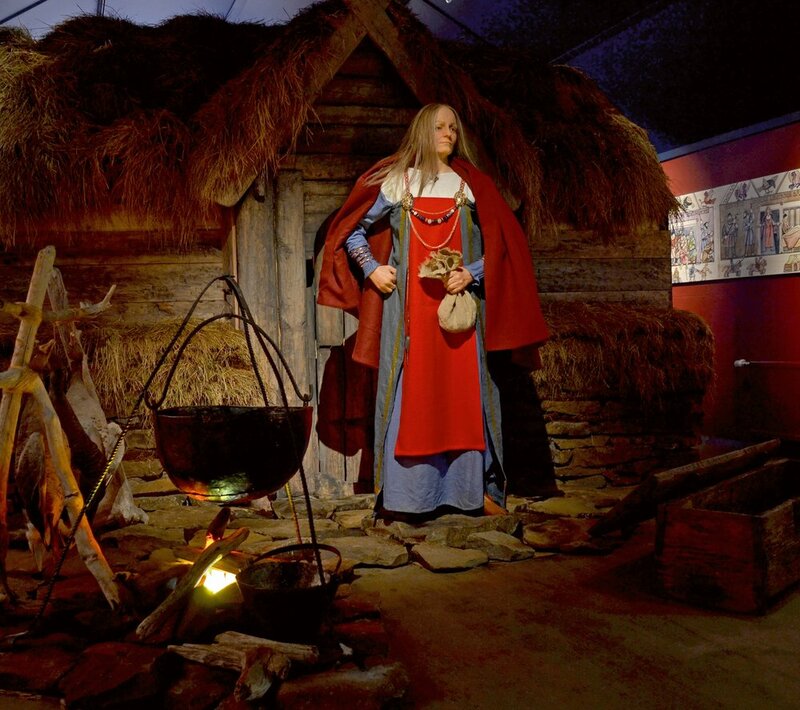 Afterwards visit the Museum of Prophecies where you can have your fortunes told and your palm read on request and then Skagaströnd a historic fishing village. Next up is some relaxation in a man made rock pool built over hot springs - the famous Grettis pool, named after Grettir the Strong, one of Iceland’s best knows vikings. Stay in the area of Sauðárkókur for the night. Start your day with a short history lesson at the Skagafjörður Heritage Museum with various exhibitions and old turf buildings. To follow the historical events of the area and learn about the colorful characters that marked the history, take the Sturlung Trail around the area and information and maps will be provided at Tourist Information Centre in Varmahlíð. Next up is the picturesque Hólar in Hjaltadalur area and the oldest church in Iceland dating back to 1763. In the afternoon, visit the geothermal swimming pool in Hofsós, one of the oldest trading centres in Iceland, dating back to the 16th century. As you continue driving around the Troll Peninsula, take the time to explore the beautiful fjords and the cosy fishing towns such as Siglufjörður where the renowned Herring Era Museum is located. Stay for the night in the area. The North is home to Iceland's second largest urban area, Akureyri. Before reaching the city however, take a short visit to Gásir, a medieval trading post, to experience the customs from the past. Akureyri is a city rich in culture and history with a charming downtown full of late nineteenth century wooden houses. Among many interesting sites in the city, the Akureyri Museum offers educational exhibitions and a beautiful garden with its 19th century church. Continue driving towards East of the country, to Goðafoss waterfall, a stunning location, featured in many international movies. Once you reach Húsavík visit the Húsavík Museum Centre and afterwards go for an exciting whale watching tour in Húsavík, the capital of whale watching in Iceland. In the afternoon you will have the opportunity to see the horseshoe-shaped rock formation - an impressive Ásbyrgi Canyon as well as the most powerful waterfall in Europe - Dettifoss. End your day adventures in the Mývatn area, with its geothermal wonders. Make your way towards Kópasker, a small village situated on the eastern shore of Öxarfjörður in northeast Iceland, and contiue your journey to the Arctic Henge at Raufarhöfn. As you drive past the remote areas of Þórshöfn and Bakkafjörður, enjoy the serenity of the area. Next stop is Vopnafjörður , where you can learn about the Saga of the Vopnafjörður People, from the late 9th to the early 11th century. Before taking a turn to Egilsstaðir for the night, make sure to visit Möðrudalur, the highest inhabited place in the country with beautiful views.